Easy and accredited online college programs can give all students, even the nontraditional ones, the unparalleled benefits of a degree without the fuss of campus commutes. And getting an accredited college degree has suprising benefits. In fact, during April 2017 the Bureau of Labor Statistics reported that the median weekly earnings for high school graduates rose from $692 to $819 with an associate and $1,156 with a bachelor’s degree. In addition to monetary value, college degrees lower average unemployment rates from 5.2 percent after high school to 2.7 percent. The Lumina Foundation found that college attendance boosts the likelihood of having health insurance by 47 percent and retirement plans by 72 percent. According to the Centers for Disease Control, college graduates even have a life expectancy that’s nine years longer. Although postsecondary education is never effortless, we’ve searched for quality online colleges that make learning as easy as possible to create the following ranking of the 25 Easiest, Accredited Online College Programs of 2018 for Undergrads. 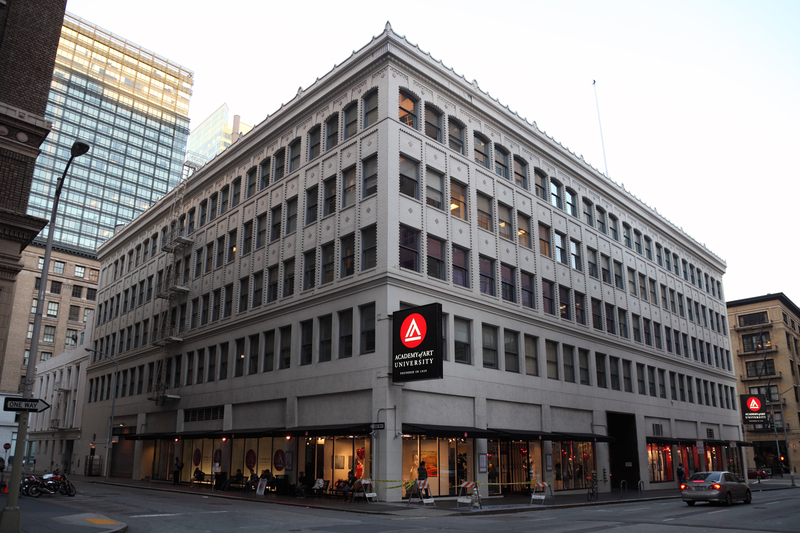 Headquartered at a four-story San Francisco complex, the Academy of Art University is a for-profit, WASC-accredited creative institute that’s linking its 8,303 undergrads to employers like DreamWorks and Nickelodeon. Since 2002, the Academy has used Canvas with free Adobe Cloud software for online degrees ranked 264th nationally on the U.S. News & World Report. Artistic students easily complete 55 undergraduate majors, such as the Fashion Styling AA, Visual Development BFA, and Communications BA, in as few as 18 months. Learn more about the Easiest, Accredited Online College Programs of 2018 for Undergrads at the Academy of Art University here. Granted the OLC Quality Scorecard Exemplary Endorsement in 2016, Baker College is a private, nonprofit HLC-accredited career school with right-to-try admission for nearly 34,000 at its 13 Michigan locations and online on Blackboard. Ranked 200th nationally by the U.S. News & World Report, Baker’s Virtual College has 24/7 access to 33 online undergraduate majors with fast, eight-week courses. Easy offerings include the A.A.S. in Criminal Justice, Accelerated Bachelor of Business Administration, and B.S. in Psychology. Learn more about the Easiest, Accredited Online College Programs of 2018 for Undergrads at Baker College here. Founded by the North Dakota Legislature in 1939, Bismarck State College is the third-largest public, coeducational NDUS member that’s led by Larry Skogen near the Capitol with over 150 online courses on Blackboard for 3,781 Mystics. Named the Midwest’s 62nd best school by the U.S. News & World Report, Bismarck has 58 online start dates for 17 Associate of Applied Science degrees and a B.A.S. in Energy Management. Consider easy majors like Human Services, Administrative Assistant, and Information Processing for 24-month completion. Learn more about the Easiest, Accredited Online College Programs of 2018 for Undergrads at Bismark State College here. Gifting $19.8 million in annual financial aid, Cameron University is an affordable public, HLC-accredited teaching school founded in 1908 that’s expanding beyond its southern Oklahoma campus to educate 5,202 undergrad Aggies. Cameron was declared the West’s 96th best college by the U.S. News & World Report with accelerated, eight- and 12-week courses available online. The 20 easy online offerings include the A.S. in Interdisciplinary Studies, A.S. in Business, B.S. in Sociology, and B.S. in Organizational Leadership. Learn more about the Easiest, Accredited Online College Programs of 2018 for Undergrads at Cameron University here. Unlocking a median mid-career salary of $87,600 on PayScale, City University of Seattle is a nonprofit, NWCCU-accredited member of the National University System in “Rain City” that’s grown since 1973 to serve 6,755 adults. Applauded for the 31st best online bachelor’s by the U.S. News & World Report, CityU accepts up to 135 quarter credits for easy transfers. Online students could finish 15 undergraduate degrees like the B.S. General Studies, B.S. Project Management, and B.A. Applied Psychology in just two years. Learn more about the Easiest, Accredited Online College Programs of 2018 For Undergrads at City University of Seattle here. Linked to 3,931 LinkedIn alumni, Granite State College is celebrating its 45th year delivering public, NEASC-accredited education under Dr. Mark Rubinstein for the University System of New Hampshire. More than 77 percent of GSC’s students study on Moodle for 26 undergrad online programs ranked 71st nationally by the U.S. News & World Report. Six-week terms accelerate through easy degrees, including the Early Childhood Education A.S., Individualized Studies B.A., History B.A., and English Language Arts B.A. Learn more about the Easiest, Accredited Online College Programs of 2018 for Undergrads at Granite State College here. Recommended by The Cardinal Newman Society, Holy Apostles College & Seminary was founded in 1956 by Franciscan Rev. Eusebe Menard in Cromwell, Connecticut, as a private, NEASC-accredited theological school. Serving 343 undergrads, Holy Apostles offers the 24/365 Online Campus to earn undergrad degrees in just 2.6 years for costs 72 percent below average. CLEP testing can further accelerate the easy online A.A. in Liberal Arts, A.A. in Theology, B.A. in Philosophy, B.A. in Sacred Art, and B.A. in English programs. Learn more about the Easiest, Accredited Online College Programs of 2018 for Undergrads at Holy Apostles College & Seminary here. Selected as a 2017 Aspen Prize finalist with distinction, Indian River State College is a public, SACS-accredited junior school in Florida’s Fort Pierce with 60 years of excellence training 6,138 Pioneers at a 23:1 student-faculty ratio. Ranked the South’s 79th best college by the U.S. News & World Report, IRSC has 12 undergraduate degrees on the Virtual Campus with free Smarthinking tutoring. Only one proctored assessment is required for the easy Associate in Arts, B.S. in Public Administration, B.S. in Organizational Management, and more. Learn more about the Easiest, Accredited Online College Programs of 2018 for Undergrads at Indian River State College here. Boasting 97 percent job placement, Lewis-Clark State College is a public, lower-division NWCCU-accredited institution founded in Idaho’s Coeur d’Alene Metro in 1893 that’s attracting 3,746 Warriors from 28 states. Deemed the West’s fifth best public school by the U.S. News & World Report, LCSC utilizes Blackboard Learn to confer 13 online programs with courses capped at 25. College degrees like the Liberal Arts A.A., Web Design A.A.S., General Business B.S., and Interdisciplinary Studies B.A. easily take 18-36 months. Learn more about the Easiest, Accredited Online College Programs of 2018 for Undergrads at Lewis-Clark State College here. Affiliated with the Sisters of the Holy Names since 1893, Marylhurst University is a private, Catholic ACCU member that’s endowed for $12.1 million just south of Portland to instruct 808 undergrads of 32 faiths. Chosen as America’s 123rd best liberal arts school on Niche, Marylhurst accepts transfers with 60+ credits into eight NWCCU-accredited bachelor’s completion programs. On Canvas, quick access to the Liberal Studies B.A.S., Hospitality Management B.S., English Literature B.A., and other 2+2 choices is easy. Learn more about the Easiest, Accredited Online College Programs of 2018 for Undergrads at Marylhurst University here. Selected for the IME-BECAS Fellowship Program thrice, Metropolitan State University is a public, coeducational Twin Cities institution founded in 1971 that’s endowed for $3.2 million to host 11,580 Muskrats. Designated the Midwest’s 165th best college by the U.S. News & World Report, Metropolitan State has HLC accreditation for 10 fully online undergrad programs accessed from 78 countries. Distance students fulfilling the 62 prerequisite credits finish the easy Marketing BS, Human Resource Management BS, Individualized Studies BA, and more quickly. Learn more about the Easiest, Accredited Online College Programs of 2018 for Undergrads at Metropolitan State University here. Enrolling over 165,000 Sharks, Miami Dade College is the Florida College System’s largest public, SACS-accredited junior school opened in 1959 that’s endowed for $306 million with 29 locations and the Virtual College. Crowned a 2011 Aspen Prize finalist with distinction, MDC schedules eight-week sessions for 14 easy online undergrad degrees on Blackboard. Four courses for the Accounting A.A., Recreation A.A., Supply Chain Management B.S., Public Safety B.S., and other programs could be finished in just 16 weeks. Learn more about the Easiest, Accredited Online College Programs of 2018 for Undergrads at Miami Dade College here. Started as Brown’s Business College of Commerce in 1888, Midstate College is a for-profit, HLC-accredited virtual learning institution in Peoria, Illinois, that’s headed by Meredith N. Bunch to serve 685 undergrads. Recognized for America’s 127th most focused business school by College Factual, Midstate has an 81 percent completion rate for 18 online programs. Logging into Gateway easily connects students to the A.A.S. Administrative Professional, B.A. Realtime Reporting, B.A. Social Justice, Medical Coding Diploma, and more. Learn more about the Easiest, Accredited Online College Programs of 2018 for Undergrads at Midstate College here. Endowed for $4.7 million, Montana State University-Northern is a public, coeducational NWCCU-accredited branch of the Frontier Conference that’s expanded since 1929 to instruct 1,105 Polar Bears from Havre to online. Ranked the West’s 33rd best college by the U.S. News & World Report, MSUN has launched nine online programs on Desire2Learn that accept up to 45 transfer credits. Example Extended University offerings include the easy A.A. in General Education, B.A. in Community Leadership, and B.A.S. in Trades Management. Learn more about the Easiest, Accredited Online College Programs of 2018 for Undergrads at Montana State University – Northern here. Chartered by the New York Board of Regents in 1944, Nyack College is a private, nonprofit evangelical Christian CIC member that’s endowed for $11.9 million north of Manhattan to educate 1,553 undergrad Warriors. Nyack, America’s 32nd most diverse school on Niche, starts online terms on Blackboard every four months for cohorts of 10-25 students. Asynchronous, six-week courses help easily complete the A.A. in Biblical Studies, A.A. in Liberal Arts, B.A. in Psychology, and B.P.S. in Organizational Management. Learn more about the Easiest, Accredited Online College Programs of 2018 for Undergrads at Nyack College here. Accredited by the SACS at Level II, Pensacola State College is a public, state-funded “First Choice for Higher Education” for 21,396 undergrad Pirates who learn from 200 faculty in Downtown, Milton, Warrington, Santa Rosa, and online. Deemed the South’s 28th best university on the U.S. News & World Report, PSC skips campus visits for online Canvas courses across 14 programs. The eLearning Department lets online learners finish the A.A. in General Studies, A.S. in Business Administration, A.S. in Criminal Justice Technology, and others in 18 months. Learn more about the Easiest, Accredited Online College Programs of 2018 for Undergrads at Pensacola State College here. Named for Church of Jesus Christ of Latter-day Saints leaders in 1923, Snow College is a public, coeducational NWCCU-accredited school overseen by the Utah Board of Regents off Route 89 in Ephraim with 4,100 Badgers enrolled. Ranked ninth nationally among community colleges by Washington Monthly, Snow has a 20:1 student-faculty ratio for 100+ speedy online courses on Canvas. Easy available offerings include the A.S. in Corrections, A.A. in Anthropology, A.A. in General Education, and A.S. in Outdoor Leadership. Learn more about the Easiest, Accredited Online College Programs of 2018 for Undergrads at Snow College here. Managed by Dr. Thomas Leitzel, South Florida State College is a public, SACS-accredited adult education institution established in July 1965 that’s welcoming over 16,000 undergrads to its 228-acre Highlands campus and eLearning platform. Ranked the South’s 28th best college by the U.S. News & World Report, SFSC utilizes the Florida Virtual Campus to easily deliver fast, open-enrollment courses of eight weeks. Online classes average 13 peers for 14 programs, such as the AA in General Studies, AA in Humanities, and AA in Social Sciences. Learn more about the Easiest, Accredited Online College Programs of 2018 for Undergrads at South Florida State College here. Granted the 2017 Academia Circle of Excellence Award, the University of Maryland University College is a public, nonprofit Baltimore Metro institution with MSCHE accreditation that’s budgeting $391 million to inspire 68,996 undergrads. Declared America’s #3 best college for adults by Forbes, UMUC has four start dates every semester to easily enter eight-week online modules for 33 degrees. Online undergraduate majors like the East Asian Studies B.S., Gerontology B.A., Humanities B.A., and Communication B.S. accept 90 transfer credits too. Learn more about the Easiest, Accredited Online College Programs of 2018 for Undergrads at the University of Maryland University College here. Located on the Mexican border with a 366-acre, Bhutanese-style campus designed by Henry Trost, the University of Texas-El Paso is a public, land-grant SACS-accredited member of Conference USA that’s endowed for $217 million to teach 20,220 undergrad Miners. El Paso, America’s 162nd best free application college on Niche, has seven online bachelor’s options through Blackboard. The IHEP Champion of Access makes earning a B.A. in Chicano Studies, B.A. in Multidisciplinary Studies, B.A. in Media Advertising, and B.A. in Security Studies easy. Learn more about the Easiest, Accredited Online College Programs of 2018 for Undergrads at the University of Texas – El Paso here. Dedicated to “Knowledge for the Global Community,” the University of the Potomac is a for-profit, MSCHE-accredited distance learning hub established in 1991 that’s currently led by CEO Rick Murphree with a 10:1 student-faculty ratio. Ranked 375th nationally for ethnic diversity on College Factual, Potomac has 12 online undergrad offerings that are self-paced for completion in as little as 1.5 years. Blackboard Learn eases entry into “Military Friendly” programs like the A.A.S. in International Business, B.S. in Hospitality and Tourism, or B.S. in Cyber Security. Learn more about the Easiest, Accredited Online College Programs of 2018 for Undergrads at the University of the Potomac here. Created by the Staked Plains Baptist Association in 1906, Wayland Baptist University is Texas’ oldest private, coeducational Christian High Plains college that’s SACS-accredited and endowed for $83.5 million for inspiring 3,821 undergrad Pioneers. Distinguished as the West’s 96th best college on the U.S. News & World Report, WBU offers four 11-week terms annually for condensing six easy online degrees. Check out the B.A.S. in Environmental Studies, B.A.S. in Justice Administration, B.A. in Psychology, Bachelor of Christian Ministry, and A.A.S. in Religion. Learn more about the Easiest, Accredited Online College Programs of 2018 for Undergrads here. Belonging to the Nebraska Campus Compact, Wayne State College is a public, four-year NSIC institution opened in 1910 that’s HLC-accredited under president Marysz Rames in the Sioux City Metro to welcome 3,306 Wildcats from 36 states. Placed as the Midwest’s 109th best college by the U.S. News & World Report, WSC provides financial aid like the Advantage Program to easily afford Blackboard courses. Eight-week terms make content manageable for the transfer-friendly B.S. in Business Management, B.A. in Criminal Justice, and B.A. in Human Resources online. Boasting 183,467 alumni, including J. Willard Marriott and David M. Kennedy, Weber State University is a public, coeducational NWCCU-accredited Big Sky institution established in 1889 that’s grown a $110 million endowment in the Utah System of Higher Education. Named the West’s 86th best college by the U.S. News & World Report, WSU cap accelerated, eight-week courses at 30 for close interaction on Canvas. The 16 easy online offerings include the Professional Sales BS, Bachelor of Integrated Studies, General Studies AS, and Health Services Administration BS. Bestowed the 2014 CUPRAP Dover “Opportunity” Bronze Award, Wilmington University is a private, nonprofit Central Atlantic institution founded in 1968 that’s budgeting $115.4 million to help 12,081 undergrad Wildcats succeed. Accepting three years of transfer credits, WilmU offers more than 90 online programs on Blackboard that were ranked 346th nationally by the U.S. News & World Report. Online block courses meet for five- or eight-week sessions for easy degrees like the B.S. in Liberal Studies, B.S. in Sports Management, and B.S. in Organizational Dynamics. This entry was posted in University Rankings on March 20, 2018 by rebecca genter.